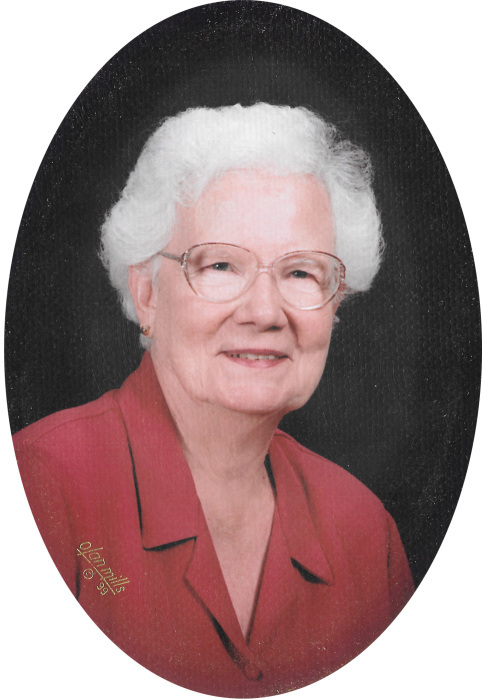 ELLAVILLE, GA --- Mrs. Joanna M. Johnson, 88, of Ellaville, GA, passed away on Tuesday, April 2, 2019 at Piedmont Rockdale Hospital in Conyers, GA. Funeral services will be held at Ellaville United Methodist Church on Friday, April 5, 2019 at 11:00 AM with Rev. Haynes Martin officiating. A visitation will be held prior to the service beginning at 10:00 AM until service time. Entombment will follow in the Ellaville Mausoleum. Mrs. Johnson was born April 13, 1930 in Franklin County, GA to the late Edward Clayton Mauldin and Maurine Monroe Mauldin. She graduated from Wesleyan College in Macon, GA. Mrs. Johnson worked as a school teacher prior to becoming a caseworker with DFCS in Randolph and Marion Counties before her retirement. Mrs. Johnson was a very active member of Ellaville United Methodist Church. She was also a member of the Ellaville Bridge Club, the Retired DFCS Club, and the Depression Glass Club. Survivors include her daughter, Debbie Thompson of Conyers, GA. She was preceded in death by her husband, Gerald G. Johnson and her son, Gerald “Jerry” Johnson. Pallbearers will include Jody Dillard, Steve Wurtz, Marc Ellis, Johnny Wall, Wayne Morrow Jr. and Mike Lee. The family asks that in lieu of flowers, memorial contributions be made to Ellaville United Methodist Church, P.O. Box 74, Ellaville, GA 31806.